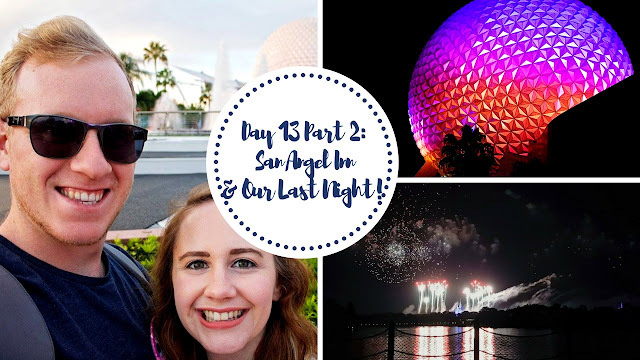 YouTube| Walt Disney World 2016 Vlog #25 - Day 13 Part 2: Dinner at San Angel Inn & Our Last Night! ​This week it's our last night at Walt Disney World! We're having dinner at San Angel Inn at the Mexico Pavilion of EPCOT, taking a very brief trip to Hollywood Studios and then finishing off the night watching Holiday Wishes from the Polynesian Beach and taking a loop around the Monorail!